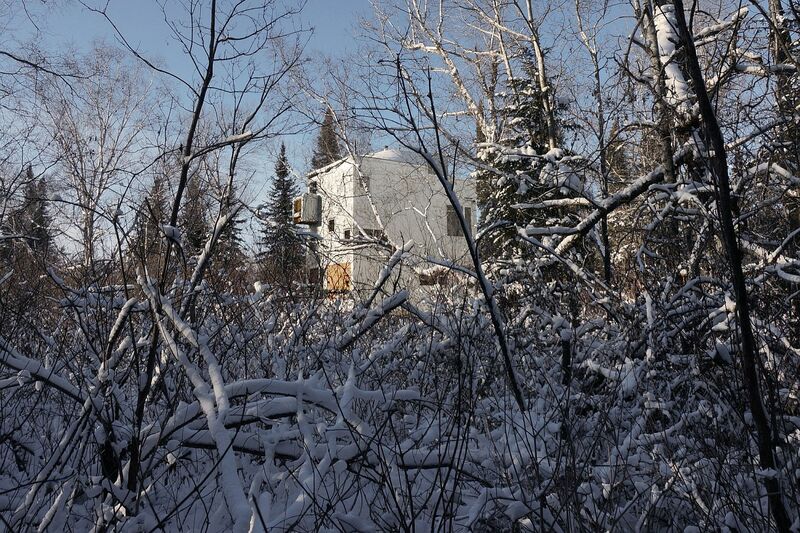 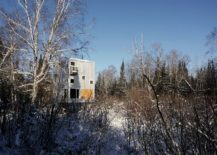 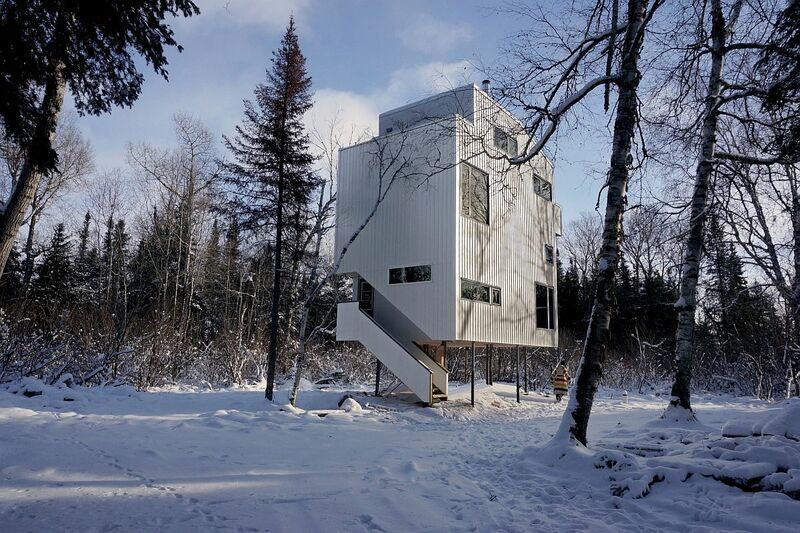 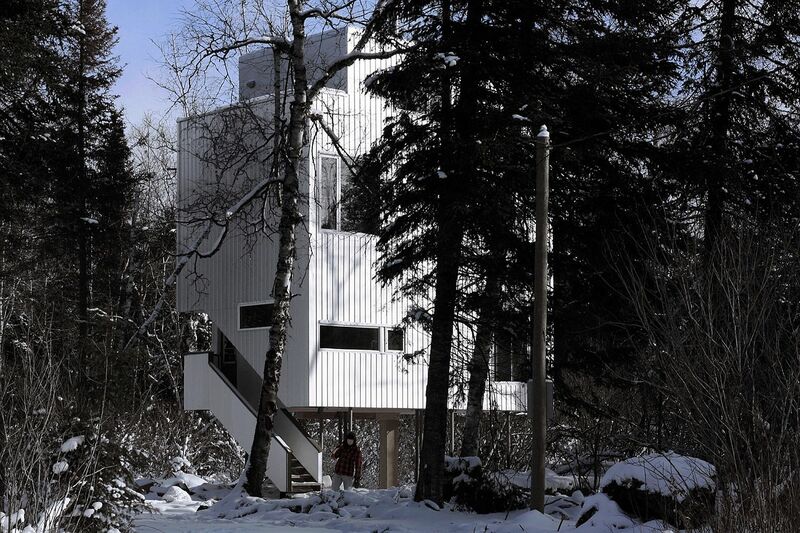 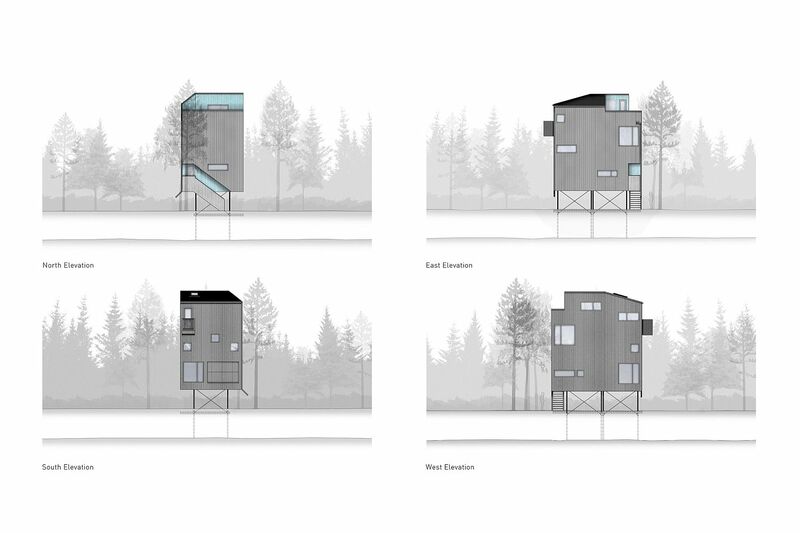 It is easy to comprehend the reason behind most modern cabins in snowy landscapes literally ‘sitting on stilts’. 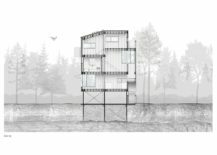 It makes for a stylish, sleek and modern structure that combines practicality with amazing views of the beautiful landscape that surrounds it. 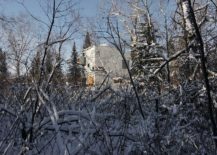 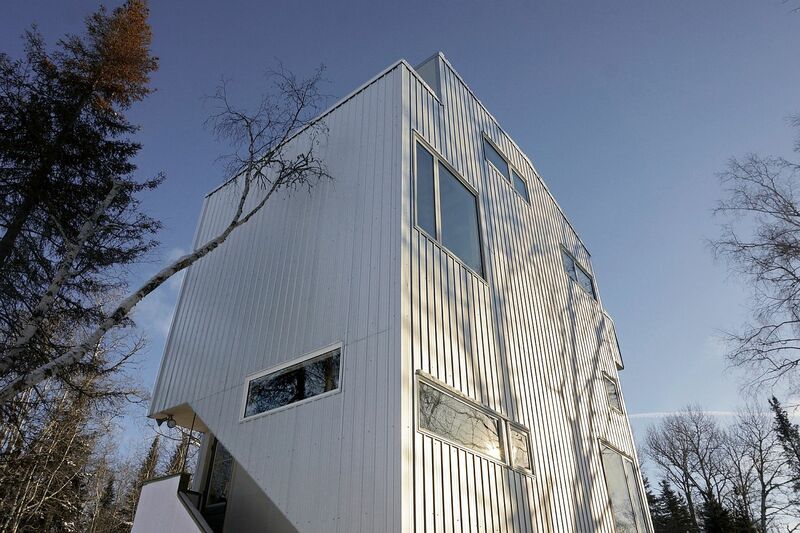 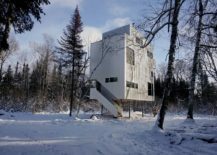 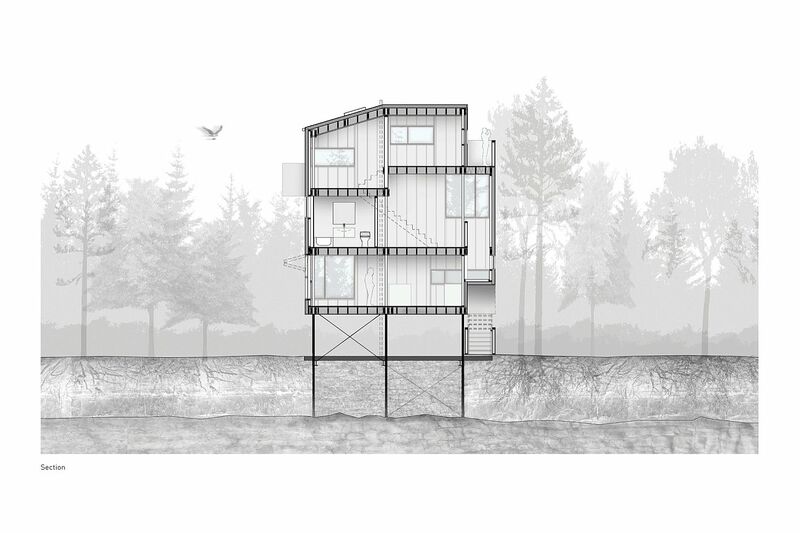 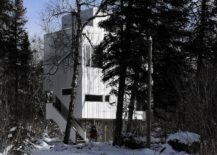 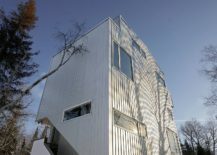 The fabulous Pole House in Manitoba, Canada is pretty similar to this popular template, as it stands on a limestone lot next to Lake Winnipeg. 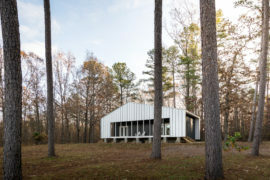 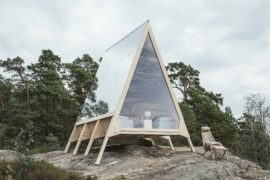 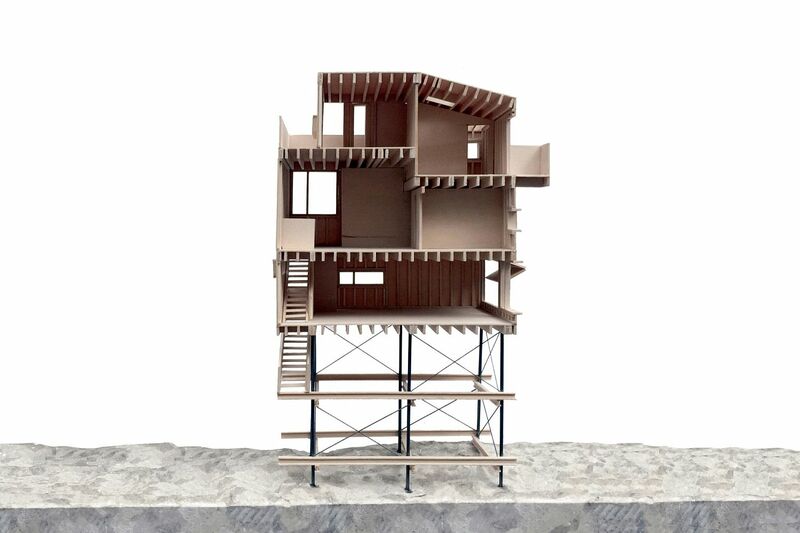 Designed by DIN Projects, the metal base of the cabin is anchored deep into the limestone below to ensure stability, even as the use of recycled gas pipes for this base gives the cabin an industrial sheen. 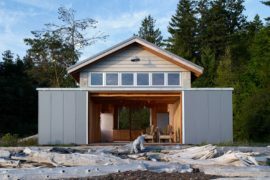 Step inside, and one finds an entirely different picture, with exposed wooden surfaces and plywood sheets shaping a getaway that is inviting, warm and elegant. 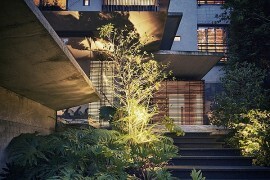 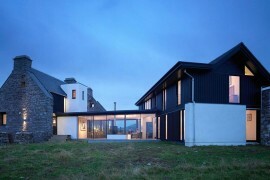 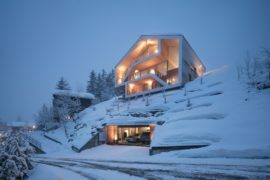 Public spaces of this fabulous retreat sit on the lower levels, with the top floors containing the bedrooms. 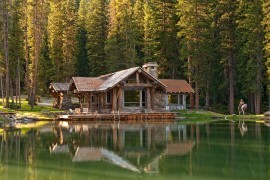 It is an arrangement that offers both privacy and the best possible views from every room of the cabin. 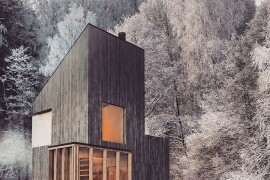 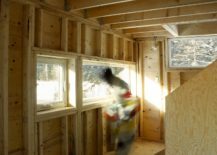 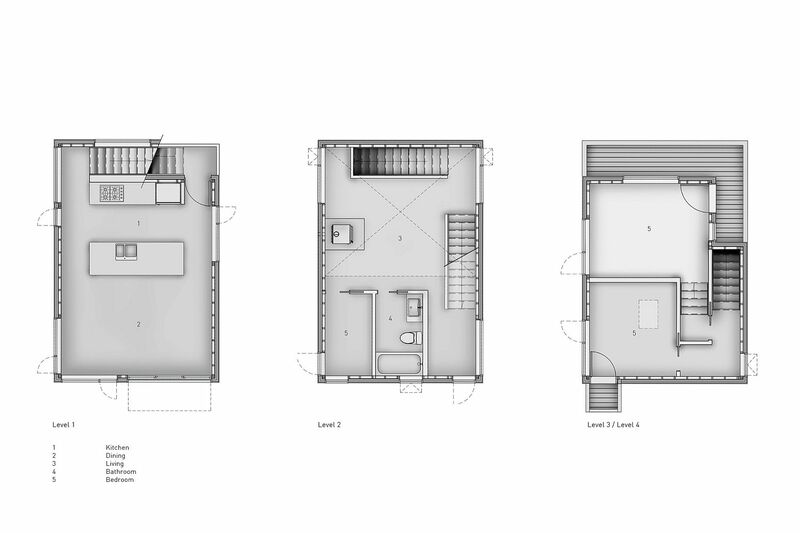 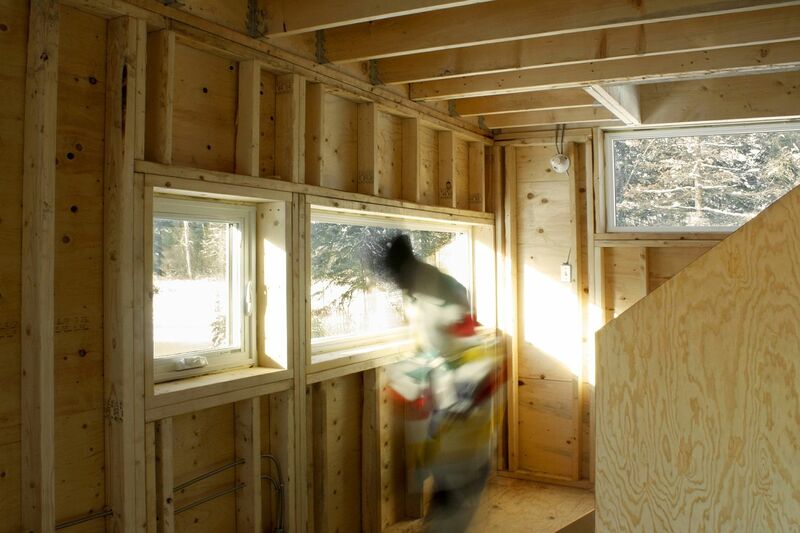 The rectangular form of the cabin, its understated design and perfect form improve the insulation and ensure that no heat is lost during the cold winter months. 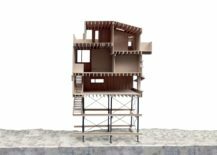 A wooden staircase connects the multiple levels of this smart cabin that is both easy on the eyes and on nature, thanks to its minimal footprint. 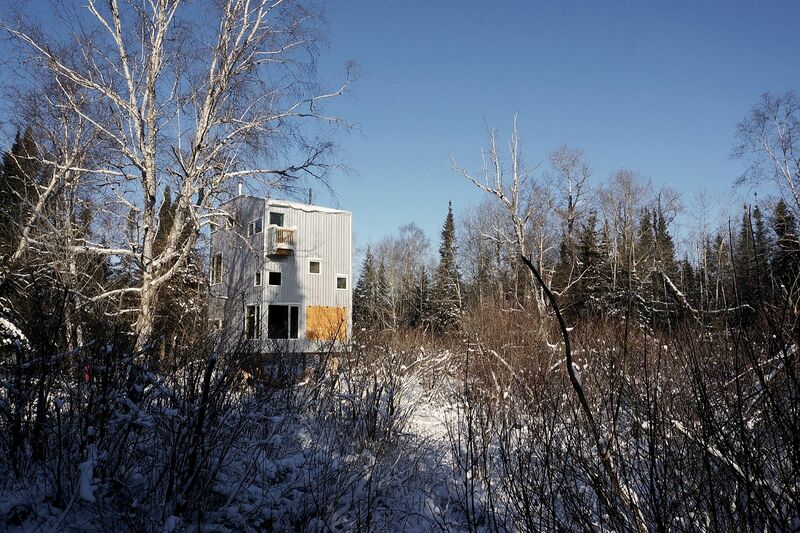 A perfect way to recapture the Holiday Season as you enjoy the last few weeks of winter ahead.